The most recent couple of generations have grown up with compact discs, mp3 players, and USB thumb drives to save all our music files. Why? Because they are all portable, handy, affordable, and gives you the chance to store as much songs as you want. But just like fashion, trends with music also come back... and vinyl record sales are rising. There is just something special and nostalgic about vinyl records. They are classic, and CDwest.ca is happy to offer vinyl record pressing in Canada for musicians who want to release their music in this 'new again' vinyl record format. In order to provide you with the best possible quality and pricing we have partnered with the top vinyl record pressing plant in the United States to provide the pressed 'wax' and then we print and package everything in the commercial printing department of our company. ► Important information on audio master preparation. 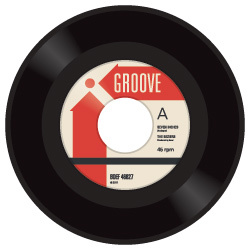 ► Click here to submit a quotation request for 7" vinyl records. 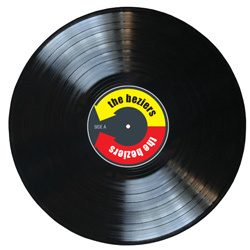 ► Click here to submit a quotation request for 12" vinyl records.